Most of the time when you are working in an organisation who uses git, you will be requested to fork the project and create pull for your feature or bug fixes (Most of the open source contribution in git will be happening like this). 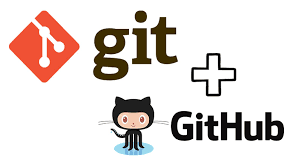 In this note I will let you know some useful git commands which will be very helpful for you in your day to day life with git. I am not going to explain any git technical terms. I am assuming you already know about it or all those terms are linked to a proper source for more information. You can fork any github project by clicking the fork icon on the top right of a repository. git fetch origin - will fetch all the details/indexes (branches and commits) from remote origin but will not apply. git checkout origin/master - change your current working branch to master. git commit - commit your changes (It is allways good to have your repo uptodate(pull the code) before you do a commit else you may be getting a merge commit). git push origin master - push your commits to remote repositories master branch. Don't use this if you pushed the code to remote repo (specifically public repo) - because you have to do -f push which will change the history of others commit also if any. git commit --amend this will overwrite your last commit, don't worry your previous changes will also be there. If you just want to change the commit message, simply enter git commit --amend which will prompt you for commit message with last commit message auto filled. It is simply a backup for your local modified files since last commit of the current branch. git remote -v - to list out all the remote repositories(remote url's and it alias names) you have added. origin will be by default created and pointing to the repository from where you clone the project. git fetch upstream - fetch all the details(branches and commits) from remote "upstream"
git pull --rebase upstream master - update your local repo with upstream repo ( --rebase is used to avoid merge commit ) make sure you are not much deviated remote repository else you will end up reolving conflicts for a long time. git satsh pop - if you did stash save before, apply this to the new updated code now. git merge --squash <branch1> this commmand will get all the changes from your branch1 to your current branch and will not commit it. You can see the modified files using git status. Now proceed to commit as usual and dont forget to delete the branch1, else your changes will still be there and create problem when you do merge (squash) for next fix. or git rebase <sync_from_branch> <fix1_branch> this will update your branch and apply all the changes of current branch on top of it. You messed up your fork and wanted to reset your fork to upstream as if you forked freshly. Patch of an entire branch git format-patch master --stdout > fix_branch.patch - your current branch should be <fix_branch>. Above command will create a new file fix_branch.patch with all changes from the current branch (fix_branch) against master branch. When you apply patches created from someone else you can use git am --signoff < fix_branch.patch - so that signed off message will be appended to your commit. eg: git config --global --add alias.update "git stash save && git pull --rebase upstream && git stash pop" - now you can simply use git update. If you are using TataSky and doing recharge occasionally and that too after disconnection, this post will be very helpful for you. Most of the time you will not get the channels listed as soon as you make the payment. It will display message to Subscribe for that channel. You can easily get channels back by simply giving a missed a call from your registered mobile number. If still not active then try giving missed call to +91 90405 90405 (Heavy Refresh). If the above step did not help you, there might be something else going wrong, please contact TataSky Support. Also note that, this can be done only from your TataSky account registered mobile number. When I was trying to install cordova for creating an android application on my Ubuntu 16.04 I was facing lot of versioning and dependency problems. So in this post I will be discussing about all those issues and the solution that worked for me. All the steps are via command line and so no android studio. I don't want to install GB's of files to just use sdk. By default ubuntu 16.04 has a stable version of nodejs added in its own repository. So to install latest version from Ubuntu itself you can simply use apt commad as follows. After lot of thinking and research me too started a blog finally to share my knowledge :-). Not everybody know everything but also everybody else don't know what we know. So lets share and gain knowledge with Win Win approach.